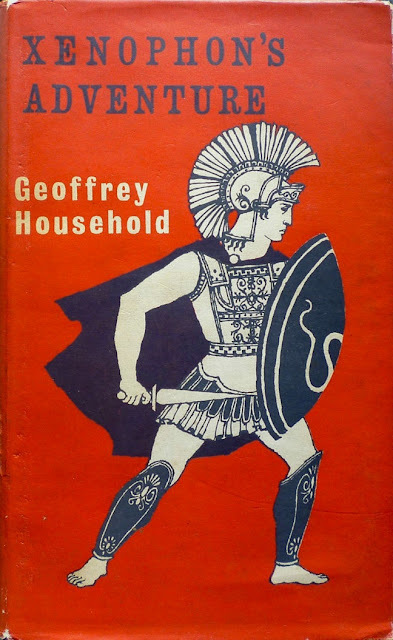 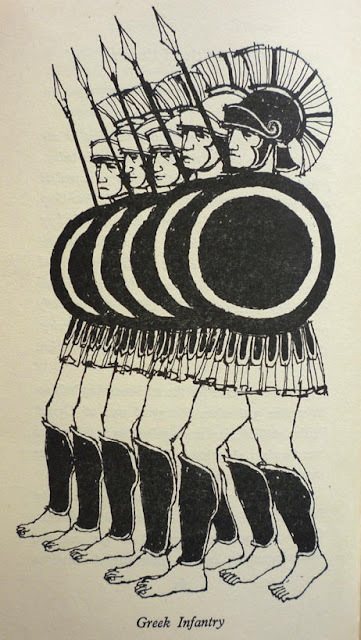 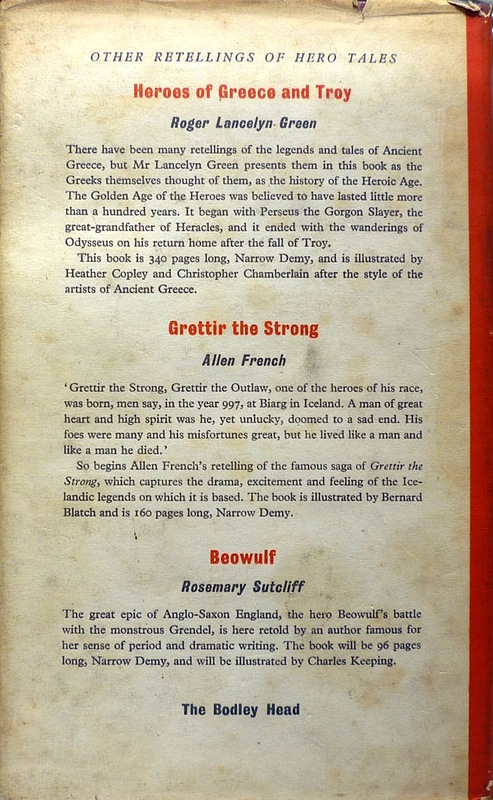 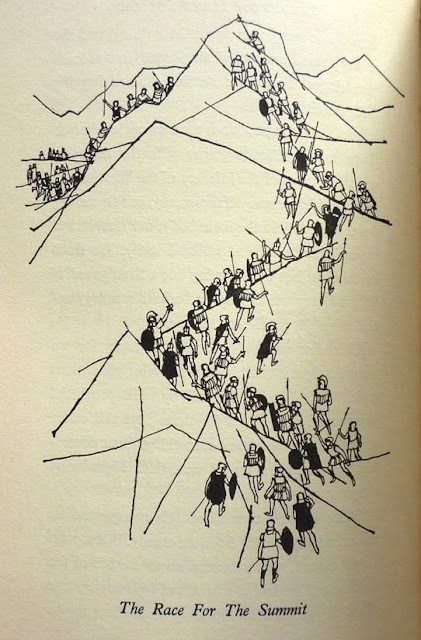 Published by The Bodley Head in the UK in 1961 as part of the publisher's series of retellings of heroic tales, Xenophon's Adventure is one of only a handful of children's titles Rogue Male author Geoffrey Household wrote during his fifty-year career. 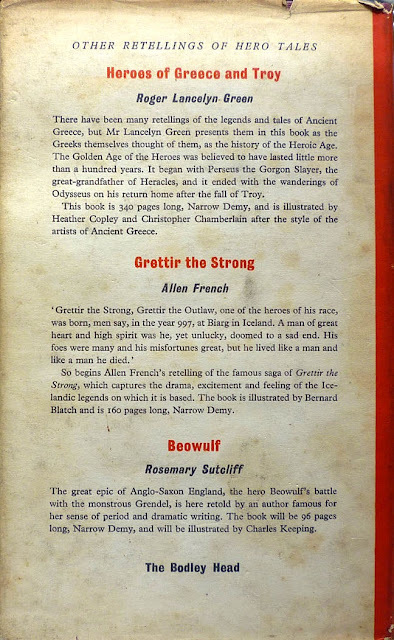 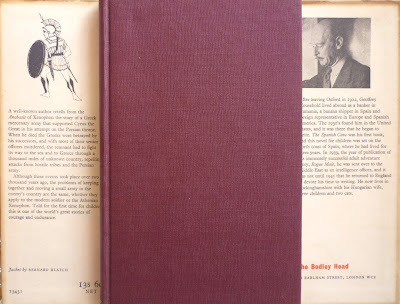 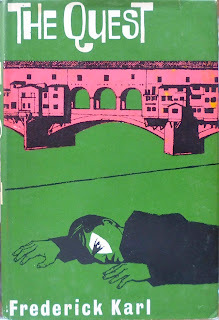 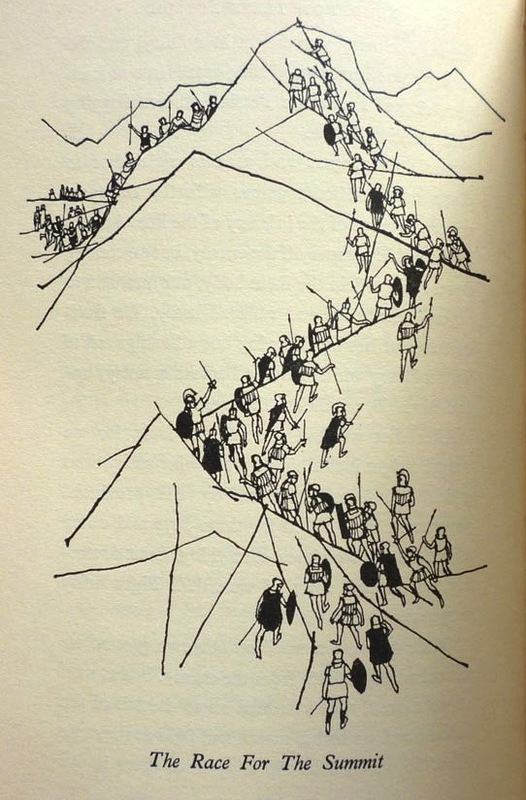 It was originally published by Random House in the US in 1955 under the title The Exploits of Xenophon (Household based the book on a story from the seven-volume Anabasis), with illustrations by Leonard Everett Fisher, but for their edition, Bodley secured the services of Bernard Blatch, who designed the dustjacket and provided interior illos; Blatch also designed the jacket of the 1961 Heinemann edition of Frederick Karl's The Quest, a copy of which I found in a Lewes charity shop a few weeks ago and promptly added to the Beautiful British Book Jackets gallery. 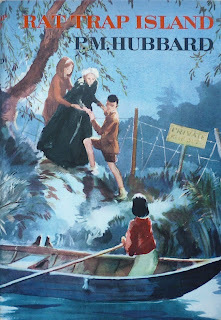 I bought this first edition of Xenophon's Adventure in Camilla's in Eastbourne – where, on a previous visit, Rachel picked up her 1965 Collins first of Agatha Christie's At Bertram's Hotel – for £6.50, which, considering non-ex-library copies are listed on AbeBooks for anything from £20 to £100, was a very reasonable price indeed. 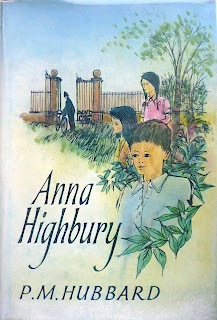 The other two children's books I've added to Beautiful British Book Jacket Design – Anna Highbury (Cassell, 1963) and Rat Trap Island (Cassell, 1964) – are both by suspense novelist P. M. Hubbard, and are the only children's novels he wrote. If you follow the links you'll find my original posts on the books and the cover designers, but I've rephotographed the two wrappers from their original appearances; the Anna Highbury jacket was illustrated by Graham Byfield, while the Rat Trap Island one was illustrated by John Strickland Goodall.